Have some friends or family coming along to watch you in action? Racing on one of the two race days and interested in helping out with the other? 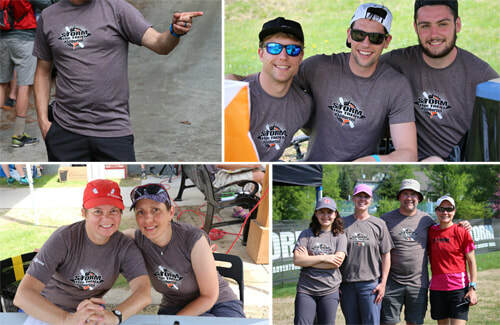 Volunteers are the backbone of events like these, and we graciously welcome anyone who wants to join the Race Staff team. Not yet ready to race but interested in helping out? Working behind the scenes at an event is by far the best way to learn more about adventure racing for those interested in trying it themselves for the first time! All volunteers are offered a $25 credit* towards future entry fees at any of our events as well as an official race shirt; bagged lunch or ticket to the post-race meal; covered shelter wherever you may be stationed; not to mention the undying thanks of the organizers! And as an added bonus for registered teams, this credit is offered in the form of a rebate for any referral of a volunteer over the age of 13 and willing to commit to a minimum 5-hour shift. * To a maximum of $50. Please note that this offer cannot be redeemed through the online registration system. If you or someone you know would like to volunteer, please contact us and we'll be certain to respond right away!